You are currently browsing the The Pet Product Guru blog archives for the day Saturday, March 10th, 2018. As you know my cat Molly had chronic Kidney disease before she passed. As a pet owner, we would do anything to keep our pet alive for as long as we can. In some cases, a Kidney transplant could be a possible solution. The problem is of course the cost, stage of CRF and age of the cat. A kidney transplant could prolong a cats life for six years or more and is the only way to cure feline kidney disease. Timing is critical. A kidney transplant should be done before the disease gets too advanced. If your cat, is in the final stages of the disease, it may be too late for a kidney transplant. 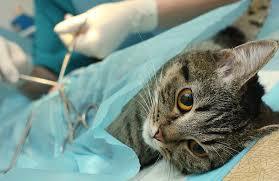 Your vet will advise you whether a kidney transplant is a viable option for your feline friend. In the case of Molly, she was diagnosed at age 15 and managed it for over 3 years. Molly was 18 1/2 when she passed about a month ago. Age and quality of life must also be considered when determining if your pet is a candidate for a kidney transplant. add comment Comments Off on Is Your Cat A Candidate For a Kidney Transplant?